Perfect for a day on the golf course, this 3-button placket polo is made of 100% moisture-wicking polyester mesh. Contrast piping details on sides. 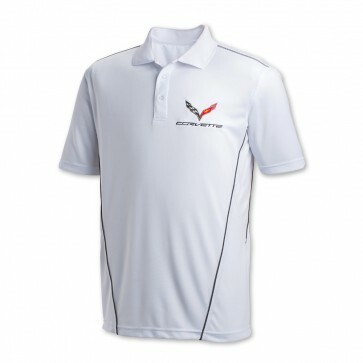 C7 crossed flags and Corvette signature embroidered on left chest. Imported.